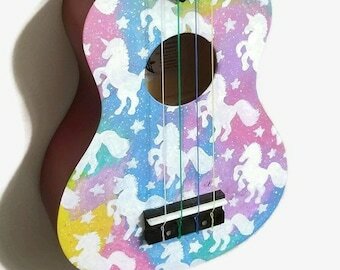 Dream Catcher Glow Galaxy Hand Painted Soprano Ukulele Instrument. This ukulele is made to order, and will be unique in its own way. Very vibrant and colorful! 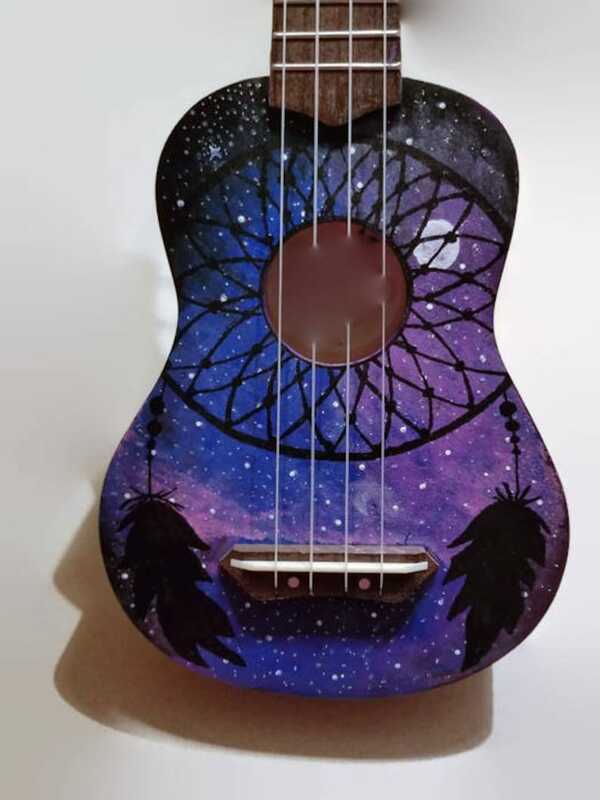 Purple ukulele, glow galaxy hand painted on the front with a dream catcher design. A black light really brings this to life!